Trusting Jesus is hard, especially when times are tough. This book helps us trust God's promises and faithfulness. Believing is hard. Painful trials and confusing circumstances tempt us to doubt the promises of God, pushing us toward disappointment and despair. 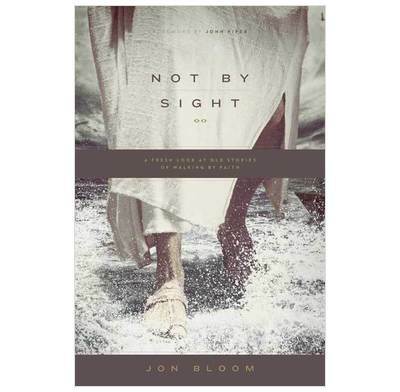 In this encouraging book, Jon Bloom, president and co-founder of Desiring God Ministries, sets out to bolster Christians' confidence in God through imaginative reflections on 35 stories from the Bible. The examples of characters such as King David, Zacchaeus, and the Apostle Peter challenge readers to trust God over and against their unreliable perceptions of the world. These creative and devotional meditations highlight God's trustworthiness seen in the stories of the Bible and explore practical implications for everyday life, helping readers find rest in the faithfulness of God.